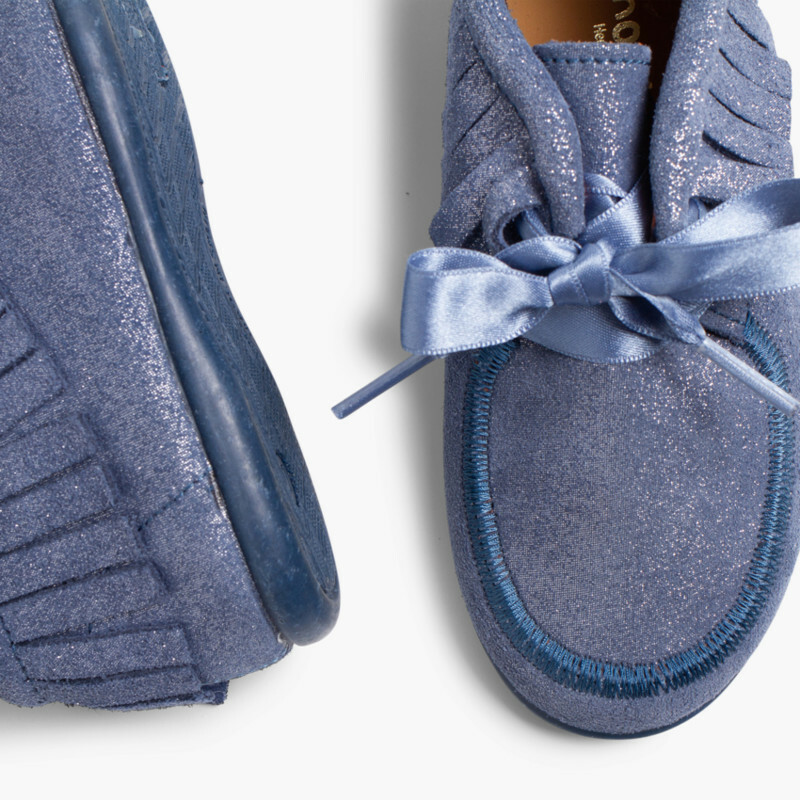 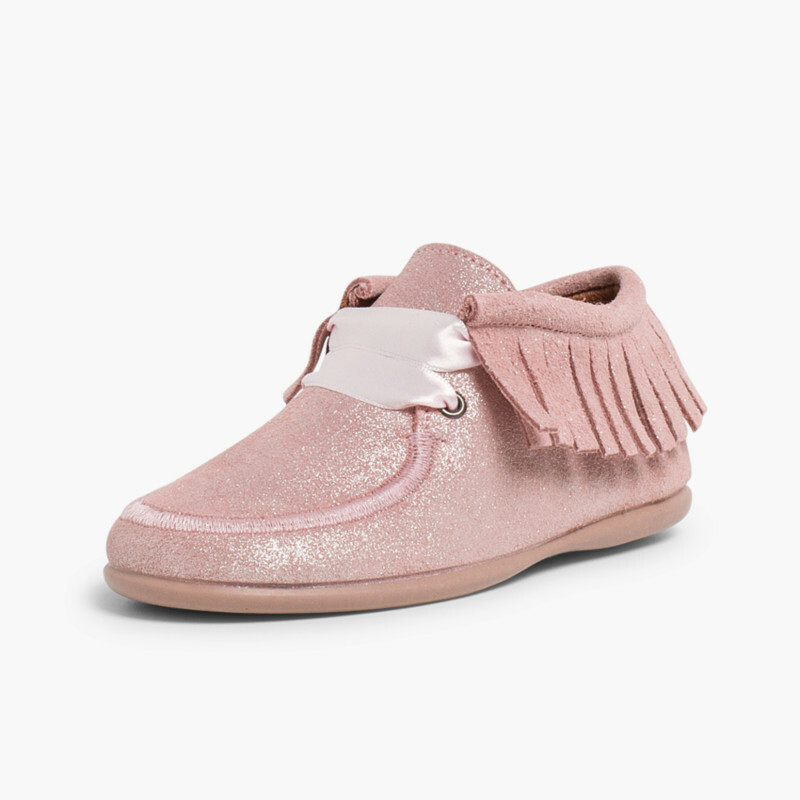 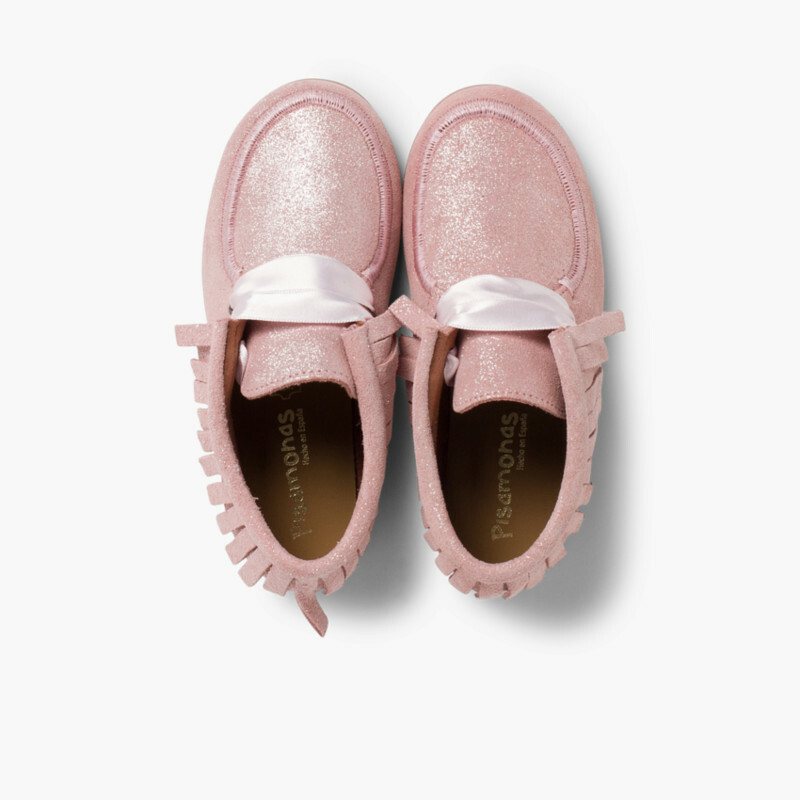 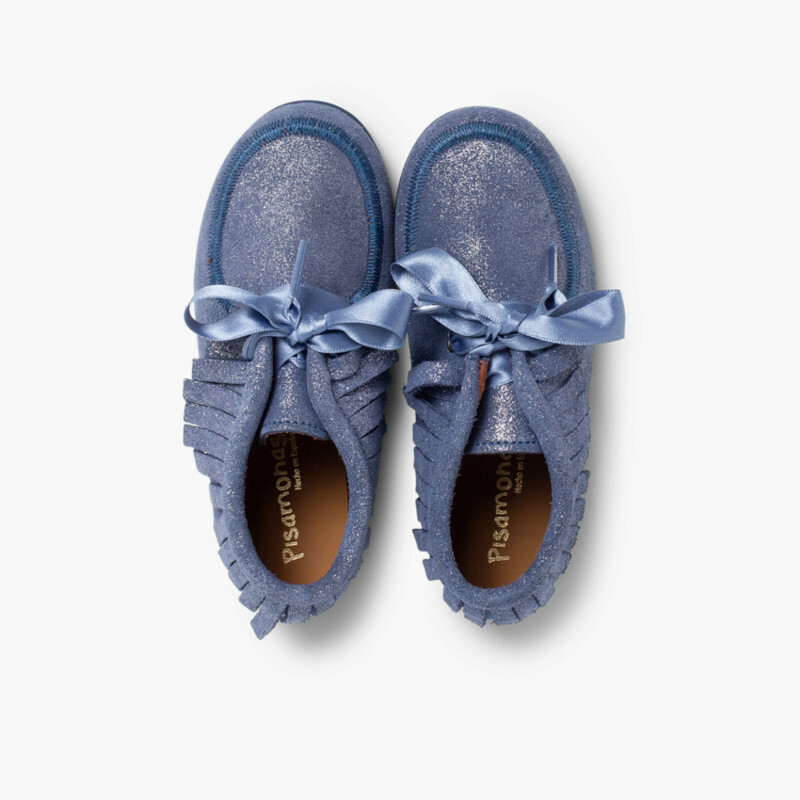 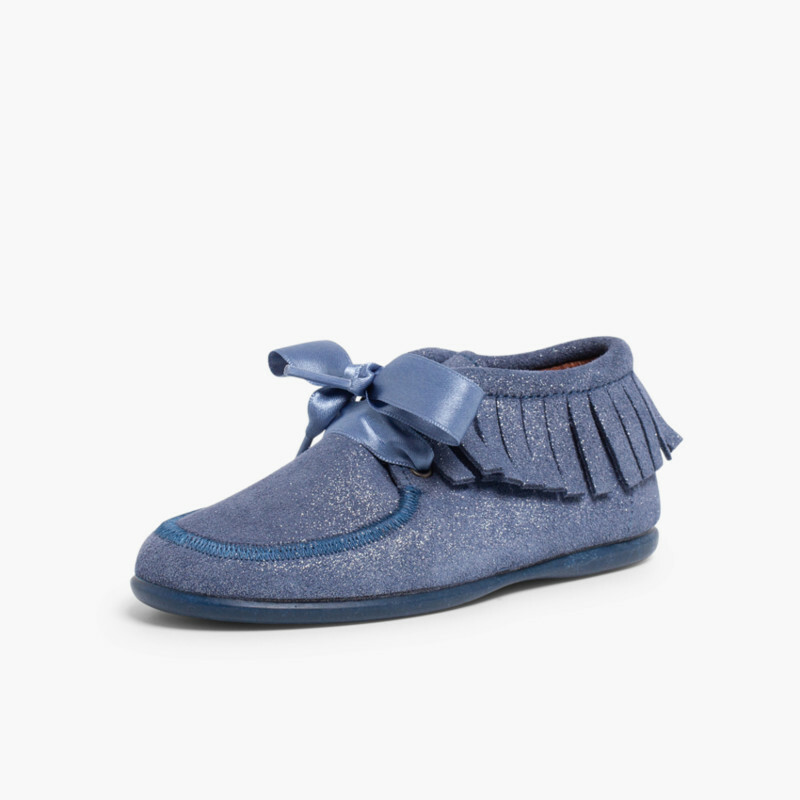 We love bright, shiny footwear and to prove it, we bring you these glitter fringed boots with beautiful satin ribbons to tie in beautiful bows. 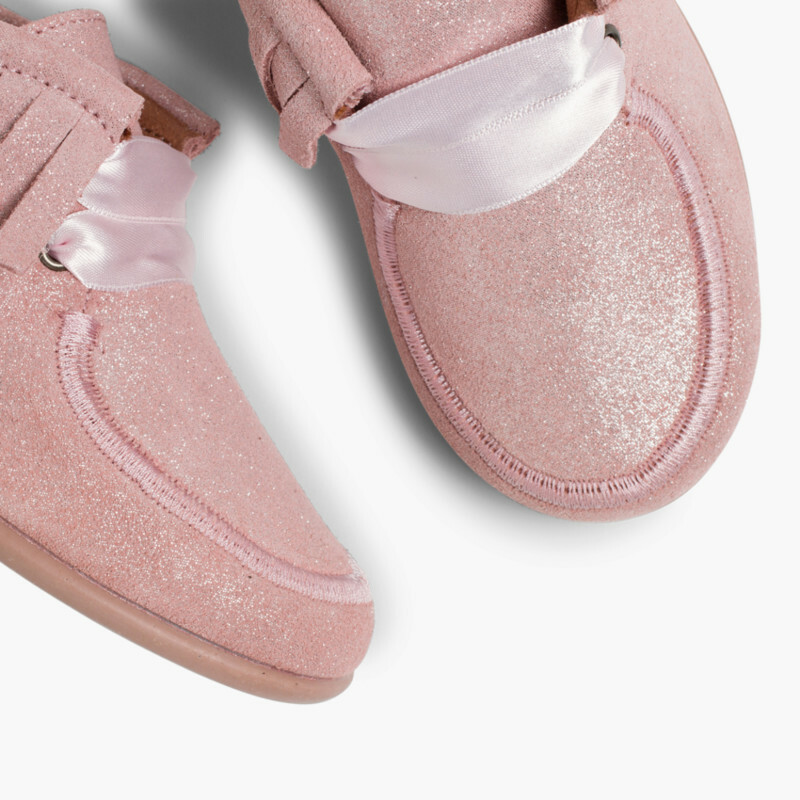 The most fashion conscious girls will go mad for them! 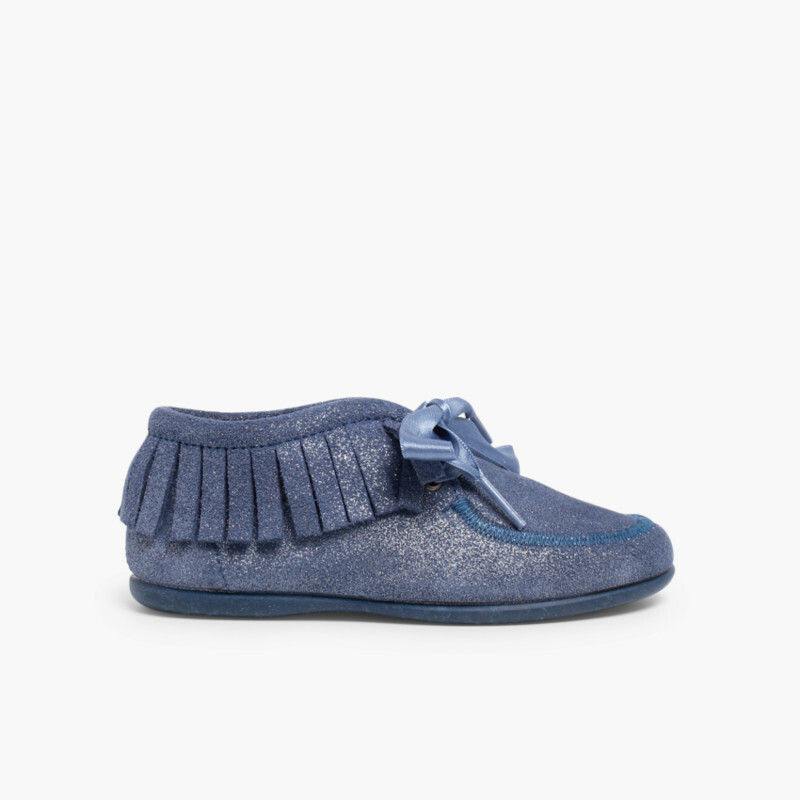 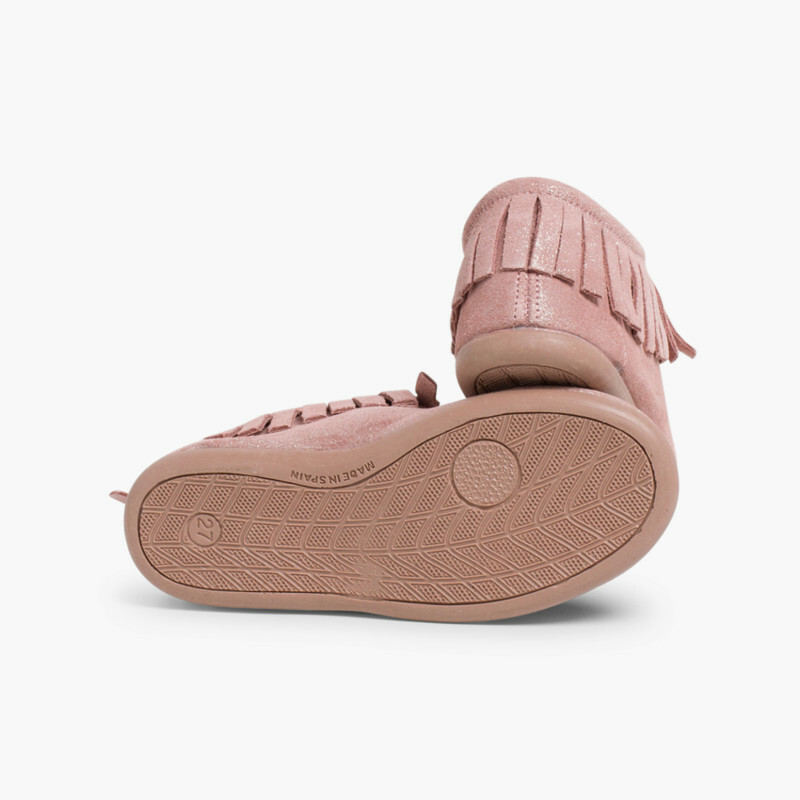 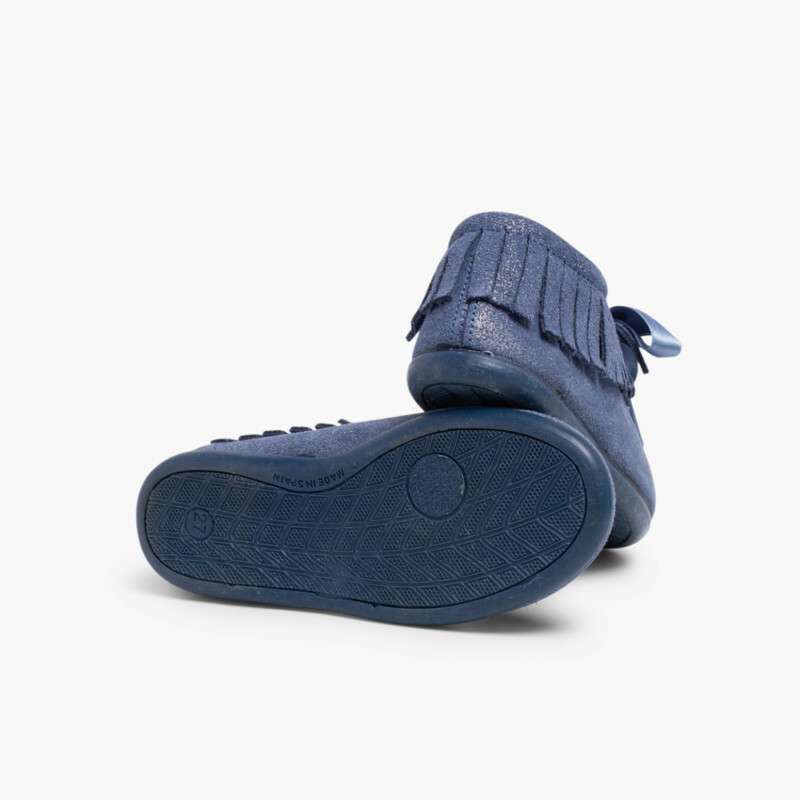 Made in Spain, as is all of our footwear, these suede booties have rubber soles, so that your children being really fashionable is not at odds with them being comfortable. 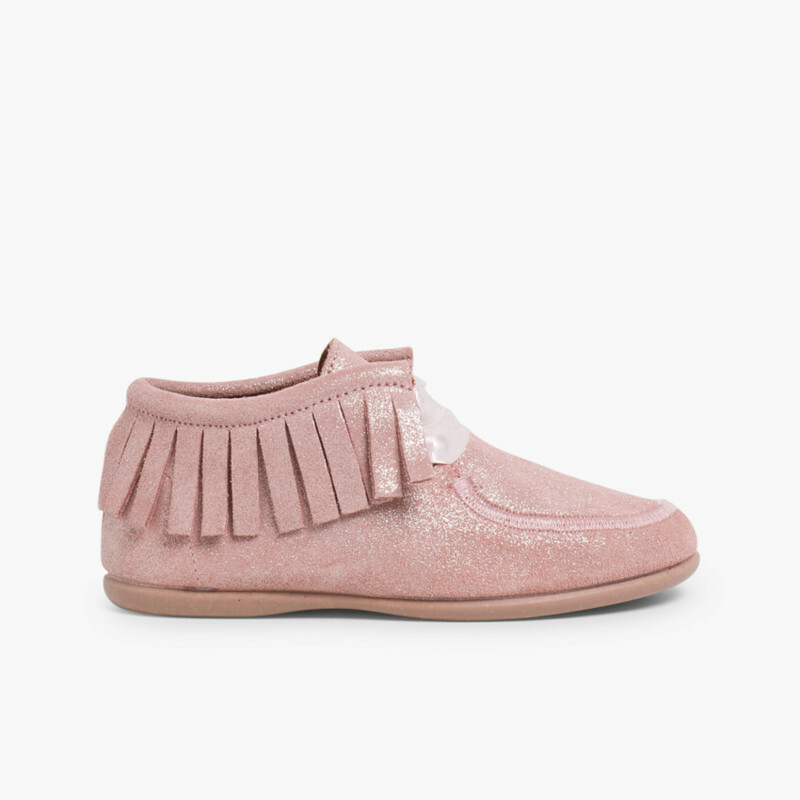 These booties with fringes and glitter are available in our collection in two colours, which are very easy to mix and match, pink and blue, and in sizes 18 to 34. 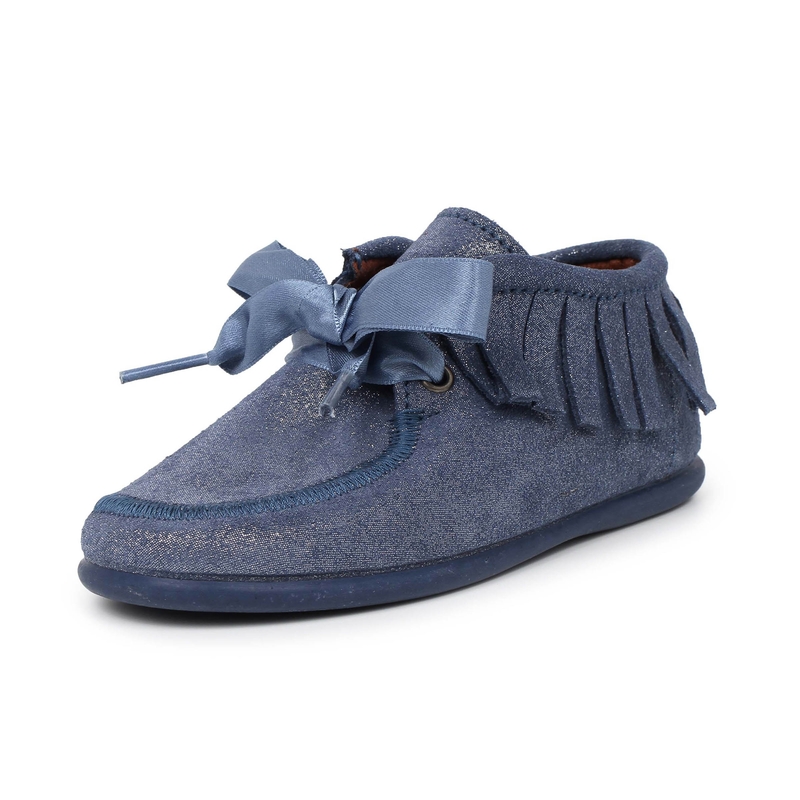 And for your peace of mind, deliveries, exchanges and returns are always free.